I can’t for the life of me remember where this little village was. I know it was in Italy. Pretty sure it was Italy though. 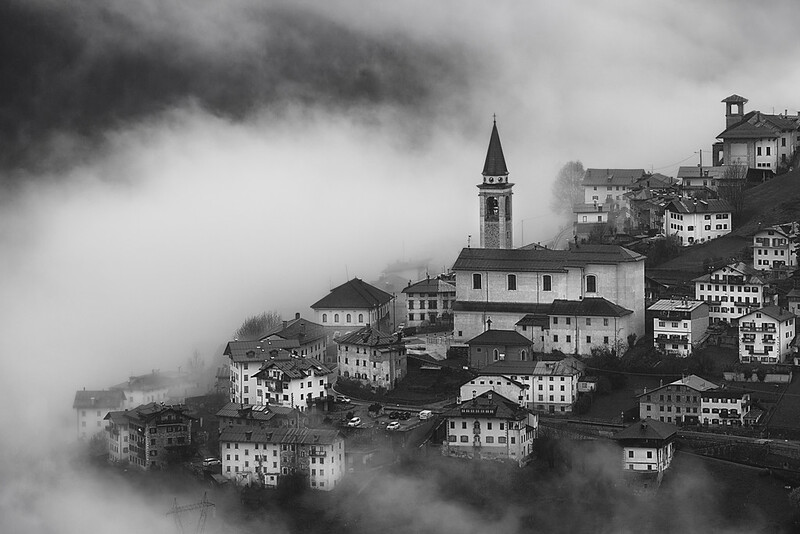 After a while all of these picturesque villages started to look the same, so it was wonderful to see this one on a day when the rain was constantly on and off, and the scenery was moving in and out of view as the weather worsened and cleared. I found that to be much more atmospheric than the blue skies we had earlier in the week. Italy…I’m going for Italy for this one.